We can maintain your garden to enable you or your customers to enjoy your luxury tropical living spaces completely stress free.We have many years of experience and knowledge of what fauna and tropical plants grow well here. With heavy rains in wet season and harsh dry seasons lasting 8 months and longer. Our experience will ensure you have a beautiful garden all year round. We have a large team of competent and highly knowledgeable gardeners known in Indonesia as a “Tukung Kabun”. 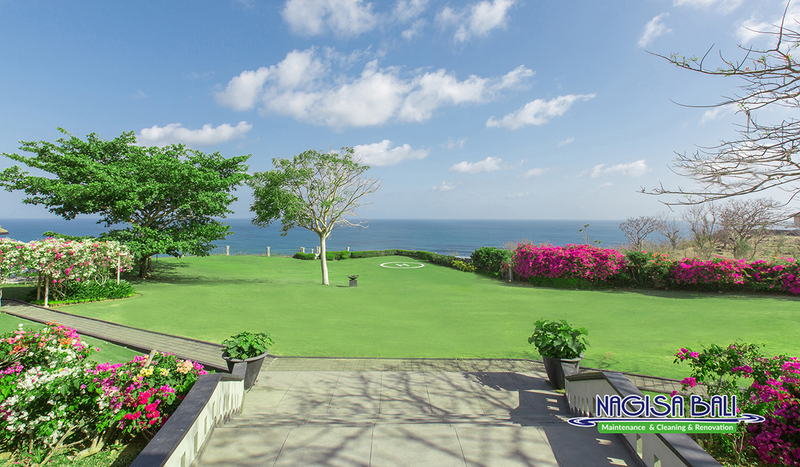 They are highly experienced in all things that grow here in Bali. So as well as engineering the correct garden lighting, water features and sculptures that bring the finishing touches to your Bali outdoor living space, we will ensure absolutely imaculate garden spaces both day and night.